We have been sustained for over four decades by the generous gifts of God’s people. There are a variety of ways to support our work. Every gift, no matter the size, is needed and appreciated. We can securely process your credit or debit card donation online or by calling 800-435-4343. You may also give a one-time gift through stocks and securities. If you prefer, mail your gift to Ligonier Ministries, PO Box 863595, Orlando, FL 32886-3595. Click here to donate now. Our monthly Ministry Partner Program provides reliable, continued support through recurring donations to maintain and expand our ministry impact. By donating shares of appreciated securities, you may realize significant tax benefits while making a sizeable contribution. To facilitate your gift, please contact our Gift Planning Officer by emailing stewardship@ligonier.org or by phoning 1-800-220-7636 ext. 1182. Read more below. Gifts of individual stocks or mutual funds that have increased in value allow friends to generously support the Ligonier mission while receiving significant tax advantages at the same time. If you decide to gift securities you have held for more than one year, not only will you receive a charitable deduction for the full value of the shares on the date of transfer, but you will avoid paying capital gains tax on the appreciated value of the donated shares. As the IRS has granted Ligonier charitable tax-exempt status, we are not required to pay taxes on the sale of securities we own. That means that your gift has maximum impact on all those who rely on our resources to mature in their faith and Christ-likeness. Stock gifts can be easily made however you hold the shares – by certificate or by direct electronic transfer from your brokerage account. Should you decide to support Ligonier this way, we want to ensure a smooth transaction and process your gift accurately and in a timely fashion. To facilitate your gift, please contact our Gift Planning Officer by emailing stewardship@ligonier.org or by phoning 1-800-220-7636 ext. 1182. The IRA Charitable Rollover is now permanent. This tax provision allows owners of individual retirement accounts who are 70½ or older to make gifts from their IRA directly to non-profit organizations. Applied against the required minimum distribution, an individual may donate up to $100,000 of IRA assets each year to Ligonier Ministries or other charities without reporting the withdrawal as taxable income. Read more below. What does this mean to you as a supporter of Ligonier Ministries? It allows for direct charitable gifts to be made directly from IRAs. You may make gifts to our outreaches from traditional and Roth IRA accounts without any federal tax liability, as long as the gifts are “qualified charitable distributions.” You may not take a charitable deduction for this donation, but distributions are not included in your adjusted gross income and will qualify for all or part of your Required Minimum Distribution. If you have questions about this or would like to donate to Ligonier Ministries using other appreciated assets, please contact our Gift Planning Officer by emailing stewardship@ligonier.org or by phoning 1-800-220-7636 ext. 1182. Find out if your employer will match your gifts to our outreach. AmazonSmile now make it possible to shop and give at the same time. 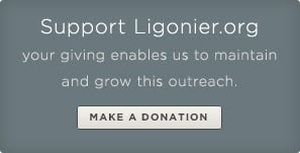 Thanks to a new program by Amazon, you can now do your online shopping and donate to Ligonier at the same time. Shop through AmazonSmile and 0.5% of your Amazon purchase price will be donated to the charitable organization of your choice. You will enjoy the same Amazon website, prices, and shopping experience but will also be able to support Ligonier in the process. 1. Login to your Amazon account at smile.amazon.com. 2. Type in and select Ligonier Ministries as your charitable organization. 3. Start shopping. Amazon will then donate 0.5% of your purchase price to Ligonier. It’s that easy. Here We Stand is our first capital campaign in nearly forty years of ministry. Launched in late 2008, the funds from the Campaign for Ligonier Ministries have established a new campus for Reformation Bible College and Ligonier operations. Continued gifts will be used to meet the needs of our growing student body by providing a student learning center to include a library, additional office and classroom space, and café. It is also a priority to retire the mortgage on this property to release operating funds for greater ministry outreach. Several gift planning options are available. The right one for you depends on your particular circumstance. You may choose to give by including Ligonier in your will or trust, through your retirement plan, IRA, or life insurance, by naming Ligonier as the beneficiary of a bank or investment account, or through gifts that provide income and tax benefits. We are happy to confidentially discuss which plan works best for you, and even provide complimentary consultation with a Christian estate attorney through our partnership with Barnabas Foundation. 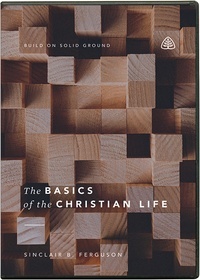 Please call 800-435-4343 or email us at stewardship@ligonier.org for more information. We occasionally receive gifts such as automobiles, real estate, coins, jewelry, or other donated items of value. 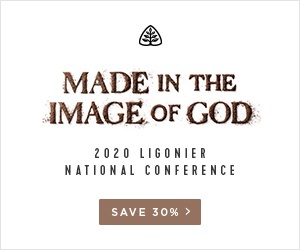 Please contact the Ministry Advancement Office by emailing stewardship@ligonier.org when considering such a contribution. Thank you for considering supporting Ligonier in this way. Whatever method you choose, thank you for supporting the work of Ligonier Ministries. We are committed to the highest standards of stewardship of the funds you entrust to us. Reaching inmates with biblical teaching through our Prison Outreach program. Ligonier Ministries Inc., a 501(c)(3) non-profit organization, is a charter member of the Evangelical Council for Financial Accountability. Each year an independent accounting firm audits our financials. Annual reports are available here. Ligonier Ministries is a charter member of the Evangelical Council for Financial Accountability (ECFA), which monitors financial governance, transparency and integrity. Each year an independent accounting firm audits our financial statements.